Construction is a team sport. Teamwork is a prerequisite for our reputation and success. We are in the business to help our employees achieve their potential. Together we attract and retain the best roofing workforce in the country through our safety, training, compensation and career opportunities. We install the finest materials available in the industry, including breakers and panels from top companies such as Cutler Hammer, Square D, and Siemens, lighting from Cooper, and switches and receptacles from Levitron, Lutron, Home Line, and Cooper Wiring Devices. Our expert installation ensures that you get full value from these products. As native Houstonians and proud Texans, we are happy to serve our neighbors in the Greater Houston Area. 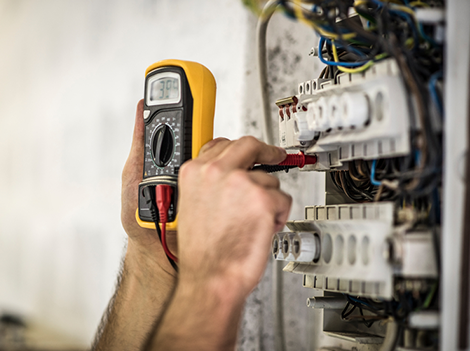 When you need top notch electrical service, just give us a call at 281.608.3267 and 346.319.5799 to schedule a service call.